Carrefour will invest USD 1.5 million towards sourcing sustainable beef and the state of Mato Grosso’s initiative, which seeks to restore degraded land and protect forests in the Cerrado and Amazon regions of Brazil. The Mato Grosso initiative includes a platform on which ranchers and farmers can register their sustainable practices to connect with corporate procurement officers. This facilitates connections between vendors of sustainable goods, and buyers willing to invest and purchase from them as they strive to meet their zero-deforestation commitments. The Produce, Conserve, and Include (PCI) Initiative was announced at the U.N. Climate Change Conference in December 2015. It was signed into law on March 2016 by Pedro Taques, the state of Mato Grosso’s governor. Carrefour’s funding is meant to partially support the commitments made by the municipalities of Juruena and Cotriguaçu to actively support the PCI ‘s efforts to achieve “environmental, social and economic sustainability in one approach”. The amount of cattle sourced by Carrefour from these two municipalities is unknown. The intent of this funding is to help Carrefour achieve their 2020 zero-deforestation commitment for their soy, palm oil, wood and paper, and beef supply chains, as stated in their 2016 Annual Activity and Responsible Commitment Report. Carrefour is also a signatory of the Cerrado Manifesto, a commitment by 61 of the leading consumer goods companies to address soy and cattle deforestation in the Cerrado region of Brazil. 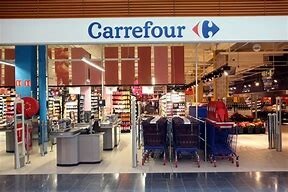 Carrefour considers four deforestation-related products a material risk to the firm: soy, cattle, palm oil, and timber. Changes in regulations and concerns over reputation have caused Carrefour to flag these products as potential material risks over a one-year time frame. While Carrefour’s incremental investment demonstrates its commitment towards zero-deforestation, there is still work to be done. According to CDP, Carrefour’s 2017 Forests report received a B score on cattle; an improvement from their C in 2016. While Carrefour incorporates risks linked to climate change into its direct operations and sourcing strategies, the scope of its cattle-linked deforestation risk assessments is limited to only Brazil. Overall in Q4 2017, 19.9 percent of Carrefour’s global revenue came from Latin America.